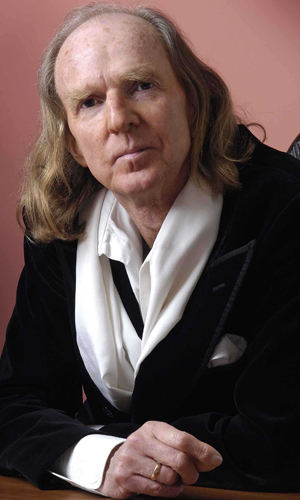 John Tavener was born in 1944. His musical education took place in the midst of Modernist fervour, a movement of which he felt an instinctive and increasing mistrust. The first work that brought him to widespread attention, The Whale (1966), was premiered in 1968 by the London Sinfonietta at their inaugural concert and released on The Beatles' Apple Records label. Although many of his early works were inspired by the mystical aspects of Roman Catholicism, his interest in tradition had led Tavener to believe that the Western Christian Church was a corrupted and corrupting force. Following his conversion to Orthodox Christianity in 1977, Tavener produced a slew of works heavily influenced by Orthodox liturgical texts, Russian and Greek writers and themes, and the Orthodox tone systems. During this period, Tavener had largely cut himself off from the contemporary music scene, withdrawing into himself and his faith in the hope of achieving a clarity worthy of his preferred subjects. Throughout his life Tavener suffered periodically from extreme ill health, one serious instance occurring in the 1970s, another in the early 1990s and another in the mid-2000s. In between he continued to write pieces strongly influenced by Orthodoxy and by literature. Though still an Orthodox Christian, the Universalist belief that all organised religions are simply different interpretations of the same underlying forces informed most of Tavener's work of this period and beyond. Emergency heart surgery in Switzerland, followed by many months in intensive care subsequent to the completion of Towards Silence in 2007 halted his progress for a time, and also caused him to withdraw somewhat from spiritual themes. In his final years, he returned to his love of Tolstoy and Mozart, and continued to be deeply influenced by Hindu metaphysical thought. Some of the resulting works are Three Shakespeare Sonnets (2010), La Noche Oscura (2012), Three Hymns of George Herbert (2012), The Death of Ivan Ilyich (2012), and Krishnalila (The Play of Krishna) . existence, another of his perennial themes. The music of John Tavener is published by Chester Music Limited.